Feature-length episode of the 1960s Western series set in the town of Cimarron. In this instalment, Marshal Jim Crown (Stuart Whitman) is shot while pursuing a gang of murderous outlaws who prey on isolated Indian settlements. 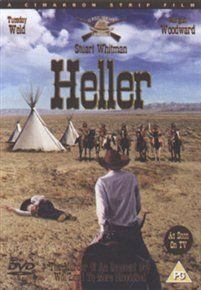 He is hidden and nursed back to health by Heller (Tuesday Weld), a beautiful young white woman who was raised by Indians but now works for the outlaw gang.